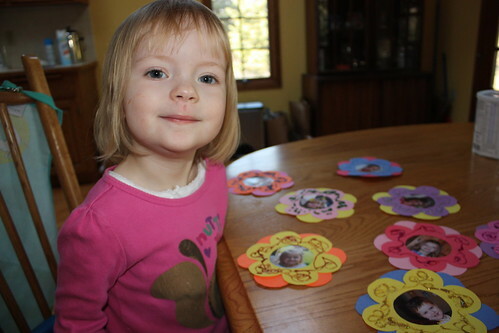 kid-friendly | Blog, Jane! Blog! I made these for dinner a couple weeks ago. And everyone loved them! I used a dairy-free cheese for Maria’s. And for the kids, I diced up the tomatoes to better disguise them in the wrap. Also I added mustard to the beef mixture, because we are all fans of mustard in our house! Very easy to prepare the ground beef the night before. Add worcestershire, ketchup, grated parmesan, dried onion flakes, salt, and pepper to the beef. Mix together until thoroughly combined. Preheat grill plan or indoor grill. In the center of the wrap place cheese and 1/2 cup of the beef mixture. Add tomato and lettuce. Then if you are using, add some more ketchup and mustard. Roll the wrap and place seam side down on grill. Once there are nice grill marks turn over. Grill for another 2-3 minutes then remove. I found this recipe on Six Sister’s Stuff and made it tonight. We loved it! I used Sutton & Dodge meatballs found in SuperTarget’s meat department. I also added 3 sliced carrots! Yummm! Place meatballs in crock pot and top with green pepper, carrot, and drained pineapple chunks. In a separate bowl, mix reserved pineapple juice, brown sugar, cornstarch, vinegar and soy sauce. Pour sauce over meatballs, pineapple and green peppers. Cook on low for 3-4 hours. 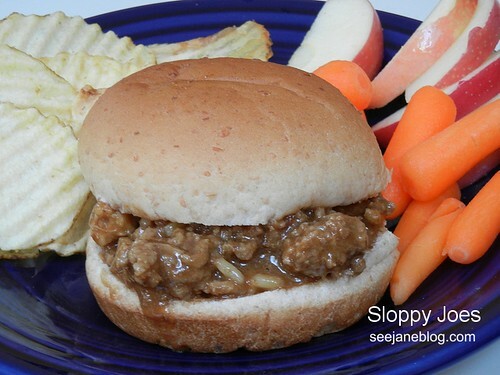 Sloppy Joes are a favorite in our house. I grew up associating them with birthday parties. They are one of my favorite comfort foods. Plus easy and quick and my kids eat them (bonus!). Somewhere along the way, I came up with this version of them and pretty much stick to it, although there are a few ingredients that are occasionally added or subbed depending on my mood, and I rarely measure; there is a lot of tasting going on! 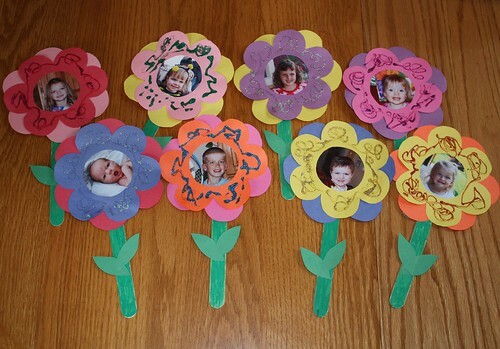 AND there are a few ways to make them, again depending on mood. Lately my favorite is in the microwave in my Pampered Chef Deep Covered Baker, but stovetop and even crockpot work just as well! This is a “quick to the table” meal and works great if made ahead of time and reheated. Ground the ground beef and drain. Add in remaining ingredients. Cook for an additional 3-5 minutes, uncovered. Remove from heat. 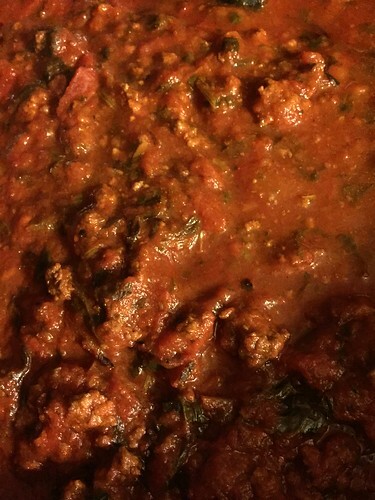 Sauce will thicken the longer you let it sit uncovered. 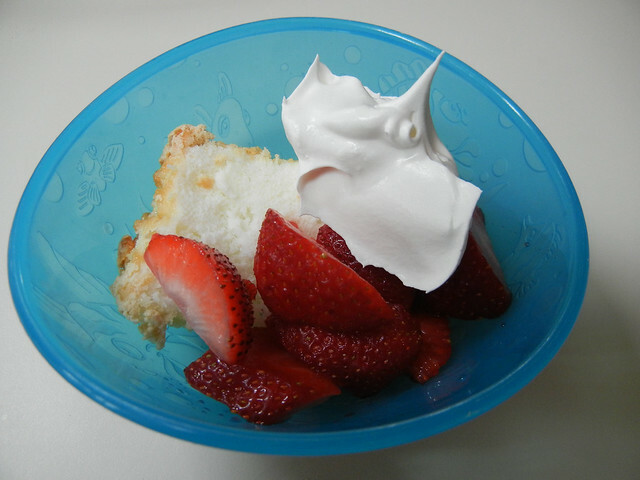 Microwave: Cook in covered glass or stoneware dish for 4 minutes. Break up ground beef and continue to cook for 2 more minutes. Drain. Add ingredients and stir. Microwave (covered) for 3 more minutes. Remove, stir and let stand uncovered for 3-5 minutes. Crockpot, for larger batches: Ground beef on stovetop or in microwave. Drain the meat. Add to crockpot with other ingredients. If I triple (or more) the batch, I usually cut back on one can of soup. Cook on low for 1-2 hours. 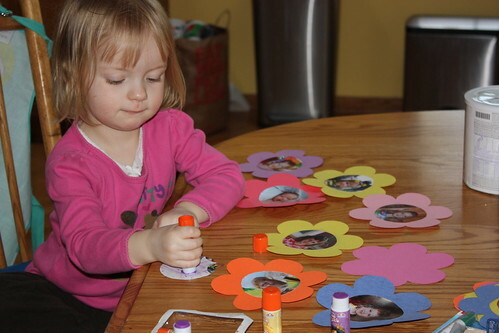 A couple weeks ago, Maria, Charlie and I spent a fun day at a friend’s house doing lots of activities including a fun friend flower project. 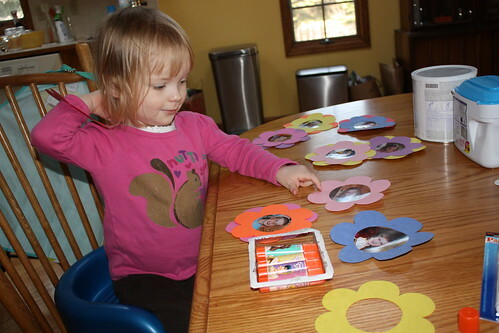 Since Maria loves projects (mostly because her Grandma bought her a bunch of princess glue sticks) we decided to do the project at home and make a garden of flowers with her cousins’ (and friend Lilah’s) pictures! 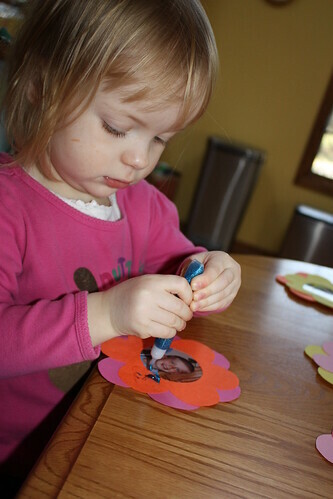 Next, Maria used her glue sticks to glue the pictures to center of back flower. She then glued the front flower on. She was pretty proud of her project, but she lost interest while they were drying, so I finished by painting craft sticks green (although you can buy already colored sticks), and adding the sticks and leaves!